As we get older the relevance of having a pension to rely on when we retire becomes more and more important. Those working in the public sectors are usually fortunate enough to have the opportunity of paying into a pension that is worthwhile; however with a lot of economic and financial insecurity for the future, many people working in these areas are unsure whether they will end up getting their projected pensions. NHS policies are subject to change every year and with government budget getting tighter the amount of money available to the NHS gets stretched further and further each financial year. 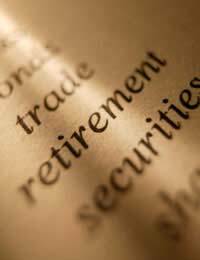 A pension is a sum of money that is given to those who are deemed old enough to retire. A sum of money is provided by the state as long as the person is a registered British person. The usually retirements age is 60 for women and 65 years for men though these ages ranges are subject to change in the future as overall, the general public live longer lives of a better quality than they did in previous generations. As this sum of money is not very large, most people are advised to pay into a private pension many years earlier in order to receive a more comfortable sum in the later years and guarantee and better standard of living in their later years. For many this means finding a private company and paying a certain amount of money each moth that the company then invests in different ways hoping to make a good return. For those working in public sectors the employer will usually offer a good pension rate and pay in money for the individual as well as their normal contribution. Is The NHS Pension Scheme Good? The NHS pension scheme is a voluntary effort in which employees can decide whether to opt in or out or the plan. Members can join at any time in their NHS career but this will have an effect on the final sum provided if the time spent paying in is not a full career span or has not been topped up. Within the NHS scheme, employees can retire at 60 whether they are male or female though some may be able to apply to retire when they are 55 years of age in special circumstances. The most common contribution from employees is 6% of their salary but this does not take into account the national insurance and tax contributions which when calculated into the equation means staff actually pay a lot less than this into their pension. As the years of paying into the pension build-up, the final amount owed to the individual mounts up and is given in addition to the state pension.The benefits to staff are very promising as it is assumed the NHS will continue for many years providing retired employees with a secure retirement.Those paying into private pensions may not be so assured of this future. Although private healthcare employees may have the option to pay into a pension with their employer, the benefits are not thought to be as assuring as those of the NHS due to the companies uncertain future and the possibility of the business failing in years to come. In fact some of the private healthcare hospitals are now reducing the number of members it includes onto the scheme as experts have predicted that the company can no longer afford to guarantee these finances when they are due. The employees who are not offered onto the scheme will have to take out their own private pension with another company if they wish to have more than just the state pension when they retire. Many companies can now offer a full package of private healthcare, life assurance and a pension and as easy as this may appear to arrange may carry its own risks if the company does not succeed long term.It is advisable to use different but reputable companies for all your independent financial needs. If you are unsure about your future and would like to know more about what you can do to save for your retirement please do speak to an independent financial adviser as well as your own pension advice department.Your future is important and being able to survive and enjoy your later years is something that should be invested in.